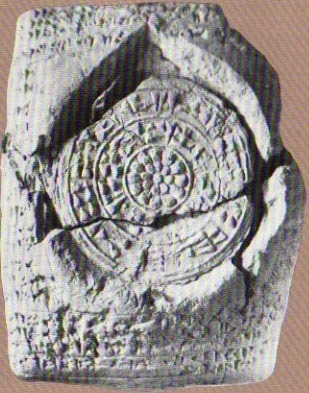 One of the Armarna Letters 14th century BC. in the US Library of Congress, ca. 24th century BC. An early world map, circa 600 B.C., shows Babylon as a rectangle intersected by two vertical lines representing the Euphrates River. Small circle stand for surrounding kingdoms, and an ocean encircles the world. 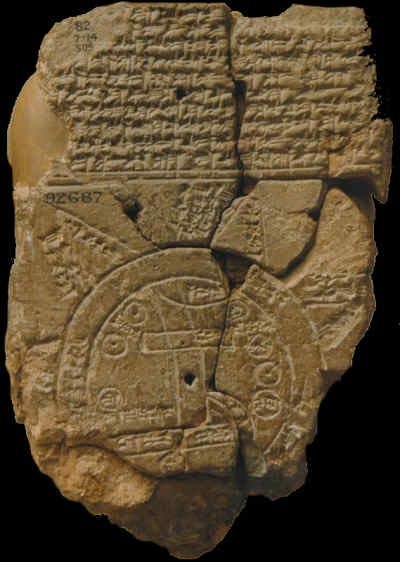 Babylonian record of the observation of Haley's Comet in 164BC. 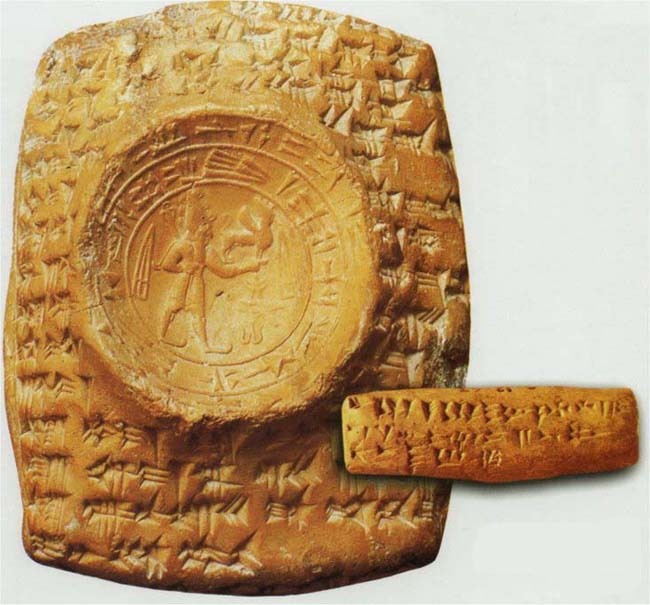 The inscribed clay tablets from the ancient city of Ugarit (ca. 1300 B.C.) are the most important source of information about ancient Canaanite culture that we possess. Not only have they opened an extraordinary door into Canaanite civilization, but they have played an enormous role in gaining an understanding of ancient Israelite religion, since Israel developed out of Canaanite culture. 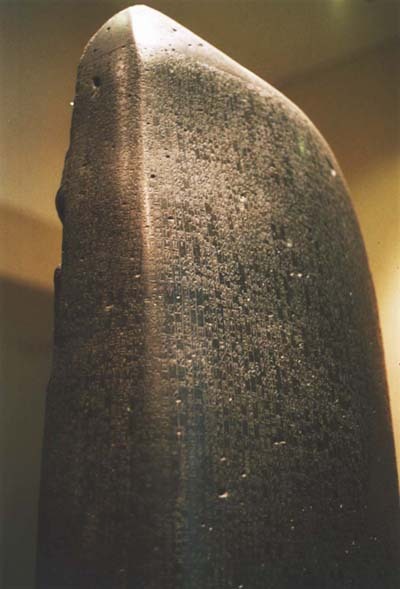 The word "cuneiform" comes from the Latin word "cuneus", meaning "wedge". Its script, called cuneiform, meaning "wedge-shaped". 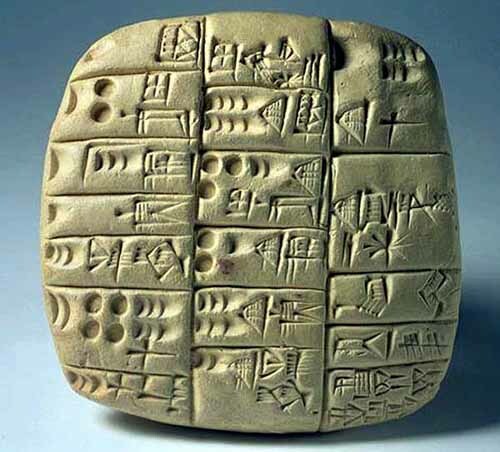 Emerging in Sumer in the late 4th millennium BC, cuneiform writing began as a system of pictographs. In the 3rd millennia pictorial representations became simplified and more abstract as the number of characters in use also grew gradually smaller, from about 1,000 unique characters in the Early Bronze Age to about 400 unique characters in Late Bronze Age (Hittite cuneiform). The original Sumerian script was adapted for the writing of the Akkadian, Eblaite, Elamite, Hittite, Luwian, Hattic, Hurrian, and Urartian languages, and it inspired the Ugaritic and Old Persian alphabets. Cuneiform writing was gradually replaced by the Phoenician alphabet during the Neo-Assyrian Empire. By the 2nd century AD, the script had become extinct. 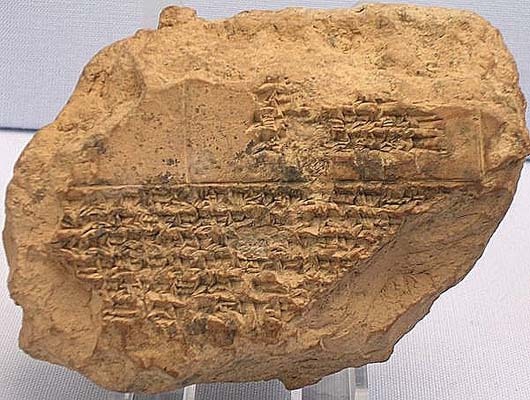 The cuneiform script is one of the earliest known forms of written expression. Created by the Sumerians from ca. the 34th century BC, cuneiform writing began as a system of pictographs. Over time, the pictorial representations became simplified and more abstract.Cuneiforms were written on clay tablets, on which symbols were drawn with a blunt reed called a stylus. 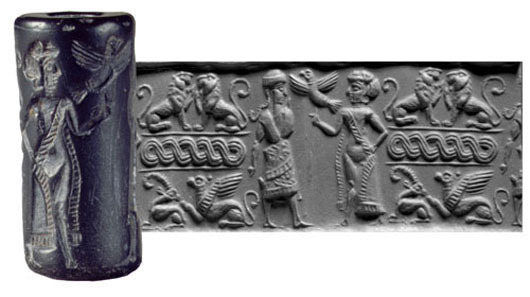 The impressions left by the stylus were wedge shaped, thus giving rise to the name cuneiform ("wedge shaped").The Sumerian script was adapted for the writing of the Akkadian, Elamite, Hittite (and Luwian), Hurrian (and Urartian) languages, and it inspired the Old Persian and Ugaritic national alphabets. Originally, pictograms were drawn on clay tablets in vertical columns with a pen made from a sharpened reed stylus, or incised in stone. This archaic style was still lacking the characteristic wedge-shape of the strokes. From about 2900 BC, the pictographs began to lose their original function, and a given sign could have various meanings depending on context. The sign inventory was reduced from some 1,500 signs to some 600 signs, and writing became increasingly phonological. Determinative signs were re-introduced to avoid ambiguity. This process is directly parallel to, and probably not independent of, the development of Egyptian hieroglyphic orthography. 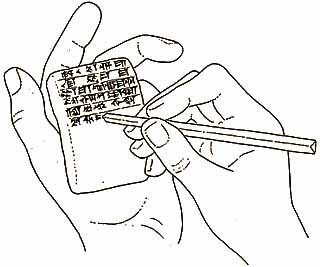 In the mid-3rd millennium, writing direction was changed to left to right in horizontal rows (rotating all of the pictograms 90° counter-clockwise in the process), and a new wedge-tipped stylus was used which was pushed into the clay, producing wedge-shaped ("cuneiform") signs; these two developments made writing quicker and easier. By adjusting the relative position of the tablet to the stylus, the writer could use a single tool to make a variety of impressions. 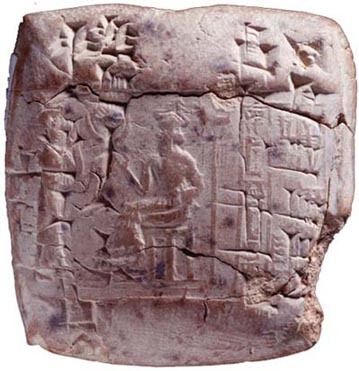 The word "cuneiform" comes from the Latin word cuneus, meaning "wedge". 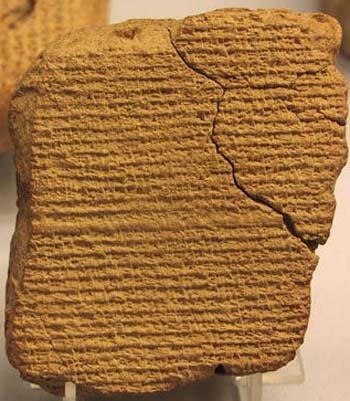 Cuneiform tablets could be fired in kilns to provide a permanent record, or they could be recycled if permanence was not needed. Many of the tablets found by archaeologists were preserved because they were baked when attacking armies burned the building in which they were kept. The script was also widely used on commemorative stelae and carved reliefs to record the achievements of the ruler in whose honor the monument had been erected. 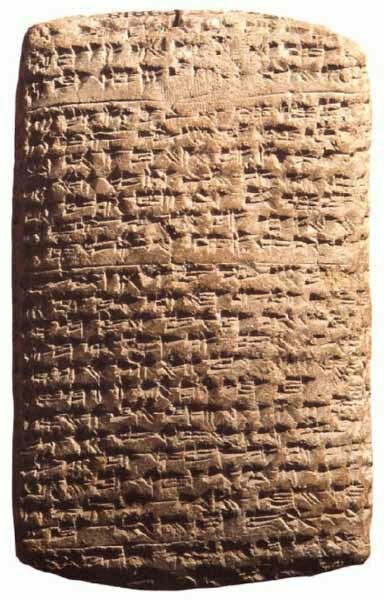 Cuneiform was first used by the Babylonians and later on was adapted and used by the Assyrians. 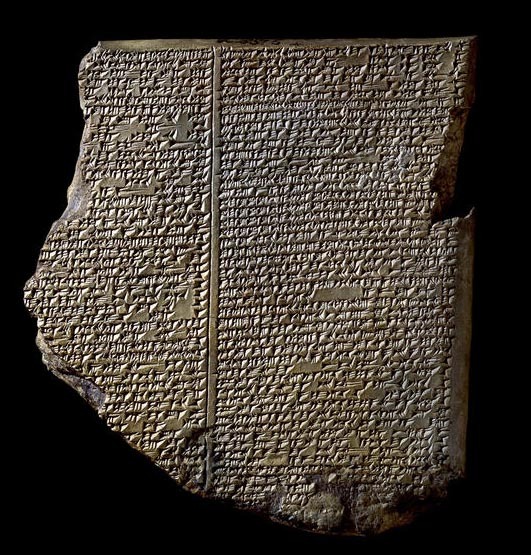 Invented by the Babylonians to record the Sumerian language, cuneiform was subsequently adopted by the Akkadians, Elamites, Hittites and Assyrians to write their own languages and was widely used in Mesopotamia for about 3000 years, though the syllabic nature of the script as it was refined by the Sumerians was unintuitive to the Semitic speakers. This fact, before Sumerian civilization was rediscovered, prompted many philologists to suspect a precursor civilization to the Babylonian. Most later adaptations of Sumerian cuneiform preserved at least some aspects of the Sumerian script. Written Akkadian included phonetic symbols from the Sumerian syllabary, together with logograms that were read as whole words. Many signs in the script were polyvalent, having both a syllabic and logographic meaning. When the cuneiform script was adapted to writing the Hittite language, a layer of Akkadian logographic spellings was added to the script, with the result that we no longer know the pronunciations of many Hittite words conventionally written by logograms. The complexity of the system prompted the development of a number of simplified versions of the script. Old Persian was written in a subset of simplified cuneiform characters, that formed a simple, semi-alphabetic syllabary, using far fewer wedge strokes than Assyrian used, together with a handful of logograms for frequently occurring words like "god" and "king." The Ugaritic language was written using the Ugaritic alphabet, a standard Semitic style alphabet (an abjad) written using the cuneiform method. The use of Aramaic became widespread under the Assyrian Empire and the Aramaean alphabet gradually replaced cuneiform. The last known cuneiform inscription, an astronomical text, was written in AD 75. Although they were written in several different cities and kingdoms, these early laws have a number of formulas in common. Most contain both an epilogue and a prologue, which usually explain the purpose of composing the laws, invoke divine authority, and command the reader to abide by them. They are always imposed or 'enacted' in the name of a ruler, be it a prince or king, and show no sign of being the result of legislative bodies. While many of these codes are only partially known, they nevertheless paint a fairly clear picture that enables us to learn what issues pertaining to rules were considered significant by the societies they governed in the 3rd, 2nd, and 1st millennia BC. 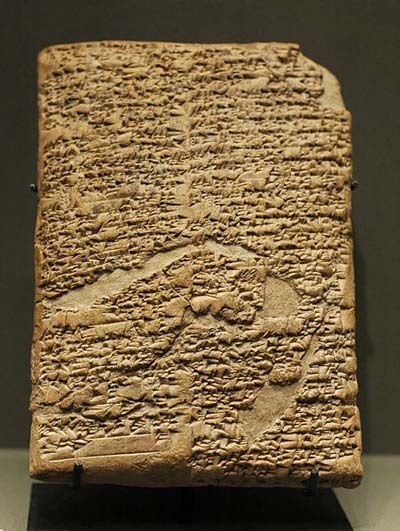 Unlike modern codes, Cuneiform law provides no universal formula for general areas of law. Rather, laws typically consist of specific "if... then..." cases that are meant to act as an example or precedent. Punishments for crimes vary from code to code, but not all prescribe vengeance. Some call only for fines in certain instances, such as in the Code of Ur-Nammu, where one line reads: "If a man knocks out the eye of another man, he shall weigh out one-half a mina of silver." These cases are sometimes arranged in a seemingly random order, though this may be the result of an inability to properly interpret them today as they would have been at the time they were in force. 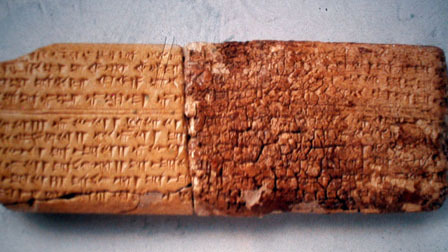 Cuneiform law is generally classified separately from later Middle Eastern law, but has been viewed as a predecessor of Biblical and Jewish law. The communities of the Middle East that made use of cuneiform law were generally all in contact with one another, and developed similar cultures. 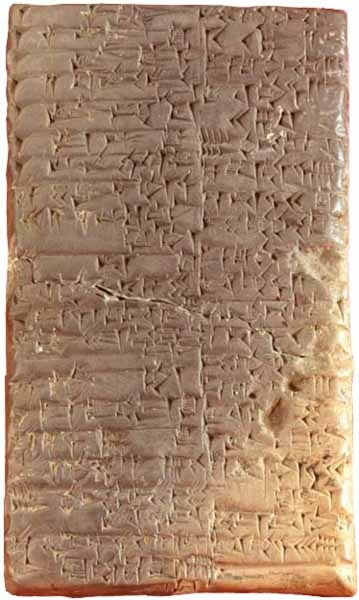 Akkadian, a cuneiform language, was used throughout the entire area, and even as far as Egypt, for diplomatic communications during the Amarna Period. 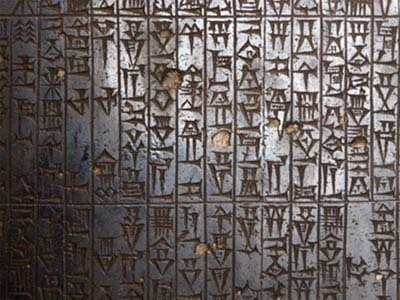 One of the most famous is the Code of Hammurabi, a Babylonian king who lived long before the time of Moses. The tablets reveal intimate details of everyday life in the Near East and shed light on many obscure customs mentioned in Old Testament. Some tell the story of the Creation, the Fall, and the Flood. They do much to verify the truth of the Biblical record.